Your Congressional leaders need to hear from you! Until now, the Government has been on partial shutdown. On Oct. 17th, the Federal debt limit will expire with no legislative action from Congress. No cuts will be exempt and important programs such as SNAP, Social Security, Medicare/Medicaid, and more will be at even more risk. Call this toll-free number: 1-888-659-9562 to be connected with your Representative. Suggested message when you call: As your constituent and a social worker, I want you to act NOW to end the government shutdown and prevent the economic catastrophe of a government default, with no strings attached. Please vote to restore funding for all of the services that families count on and to protect Social Security, Medicare, Medicaid, and food stamps. Your voice is very important in this matter! 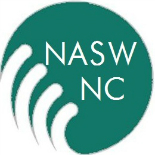 This entry was posted on October 15, 2013 by naswnc in Advocacy and tagged Advocacy, Congress, Government Shutdown, National Association of Social Workers, social work.